More information about the system Cyberpunk 2077 was running on in the E3 2018 preview have been revealed. Upon reviewing the PC specs, it’s clear Cyberpunk 2077 may need a beefy PC system to run at max settings. This is similar to CD Projekt Red’s hit RPG, The Witcher 3. In an E3 panel, the Cyberpunk team described the game’s sprawling world as being comprised of “six unique districts” with substantial vertical exploration that players can navigate on foot and by car. 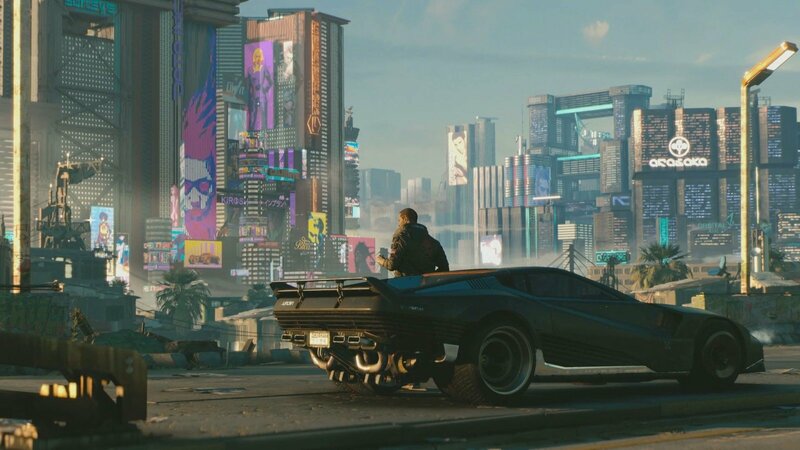 Additionally, Cyberpunk 2077 is being touted as a first-person only game where the only time players see their character is while driving, during cutscenes, and in the inventory menu. This is different from CD Projekt Red’s approach to The Witcher series, but it makes sense from a first-person shooter standpoint (as opposed to The Witcher’s swordplay). Right now, the release window for Cyberpunk 2077 is slated for June of 2019. The game will be releasing to PlayStation 4, Xbox One, and PC. While we wait for more news on Cyberpunk 2077, take a look at the specs above and let us know in the comments what you think of the game’s first-person only perspective.